Today we finished up our unit called ” I am Unique. 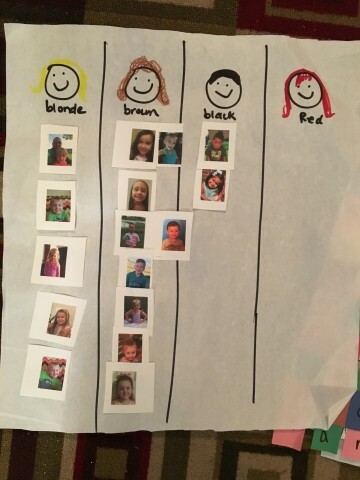 ” We learned that many of us have different eyes, hair, names, and even skin. 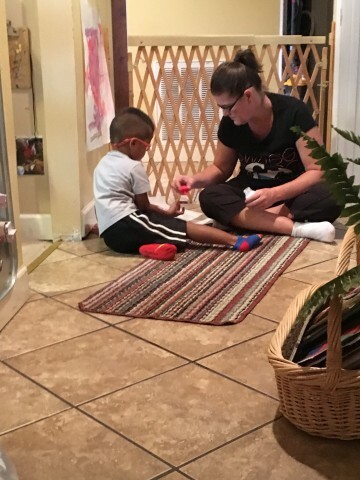 This is Pax and Ms Dallas working on a chart graphing hair color today. No one in our group had red hair but the older kids fondly remembered Canyon from last year. 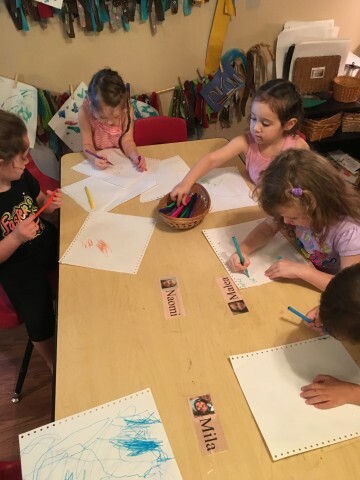 We begin to have some letter recognition and letter/sound association when we see letters that might be in our own name . We begin to sort things on paper so we can begin to be visual learners. I put new markers on the table today and was able to grab some great writing samples for our portfolios. 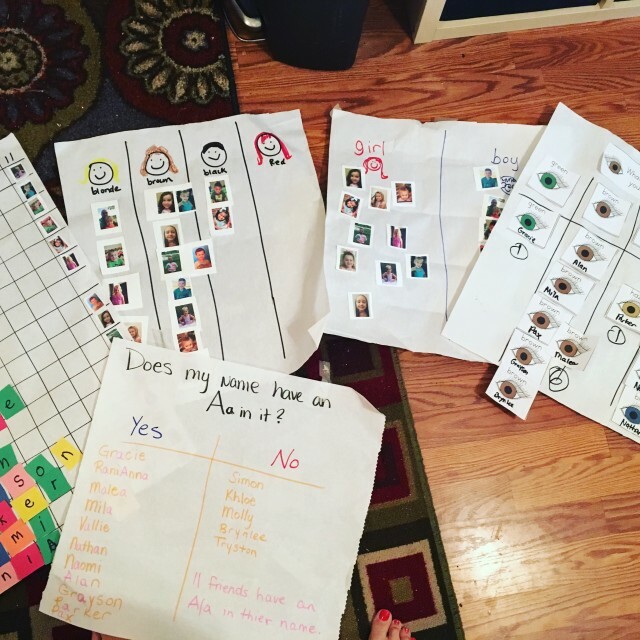 One day I will walk you through the stages of a child’s writing. I needed a little time stretcher today . 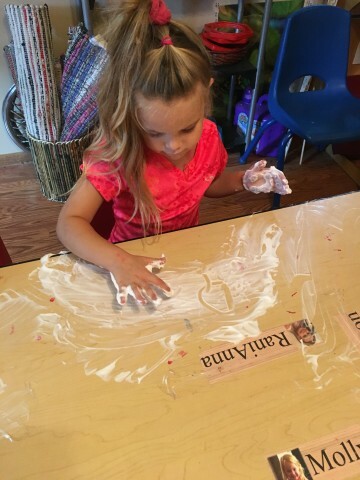 We practiced writing letters in shaving cream. 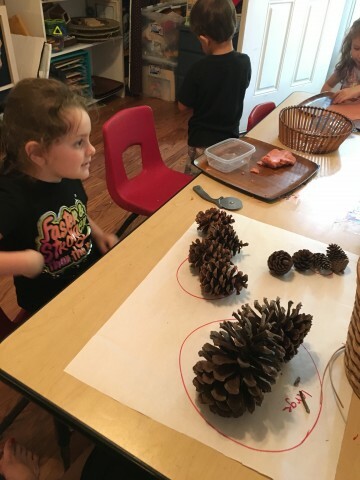 Khloe and I worked on sorting pine cones . Small -medium – large .